With the impact of social interactionist and ethnographic methodology twenty-five years ago, the research agenda in social problems began to shift its focus, giving rise to the Social Constructionism movement. The present volume and the related shorter text, Constructionist Controversies, review the substantial contributions made by social constructionist theorists over that period, as well as recent debates about the future of the perspective. These contributions redefine the purpose and central questions of social problems theory and articulate a research program for analyzing social problems as social constructions. 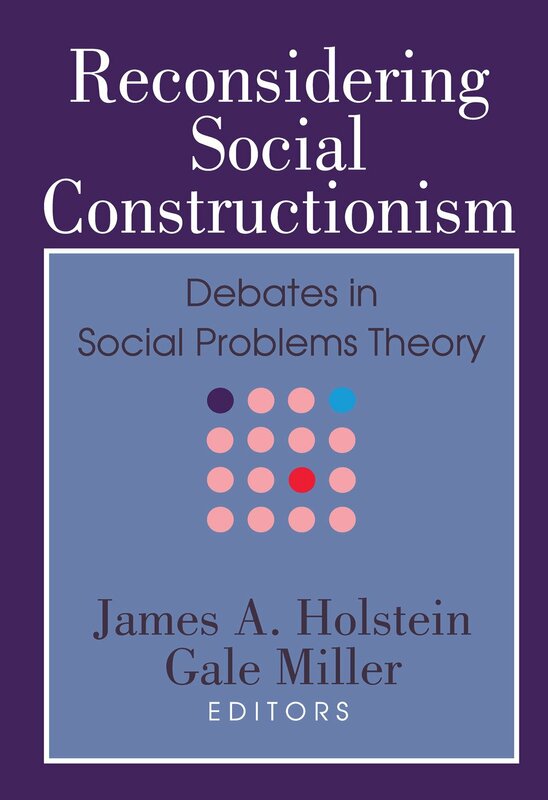 A generation of theorists has been trained in the constructionist perspective and has extended it through numerous analyses of diverse aspects of contemporary social life.The debates in this volume pose fundamental questions about the major assumptions of the perspective, the ways in which it is practiced, and the purposes of social problems theory. Their point of departure is Ibarra and Kitsuse's essay, cutting new theoretical ground in calling for ""investigating vernacular resources, especially rhetorical forms, in the social problems process. ""Contributors are forceful proponents both within and outside of the social constructionist community, who take a broad array of positions on the current state of social problems theory and on the rhetorical forms that need exploring. They also lay down the general lines for diverse and often competing programs for the future development of the constructionist agenda.